For general event ticketing, the E-Tickets Site Extra allows you to create events, set limits on attendance, set multiple pricing levels and track sales with detailed reporting. All purchases can be done online, as well as offering the option of paying in person. Sales can also be vetted against running balances in KAMAR. 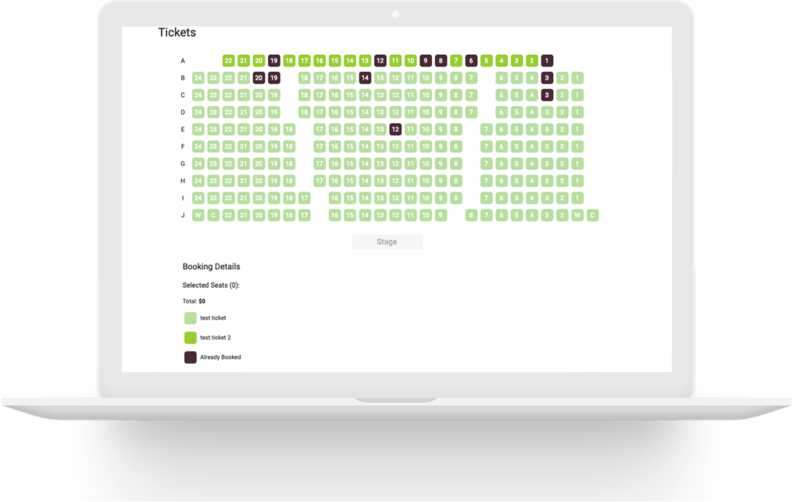 With this new feature, we will work with you to create your customised seating plan. Now, you can easily create your event and add your seat plan for your users to purchase online. Once logged onto your site, the user will be able to select / remove seats from the seat plan, easily see the total cost due for this event and continue to purchase their seats online.